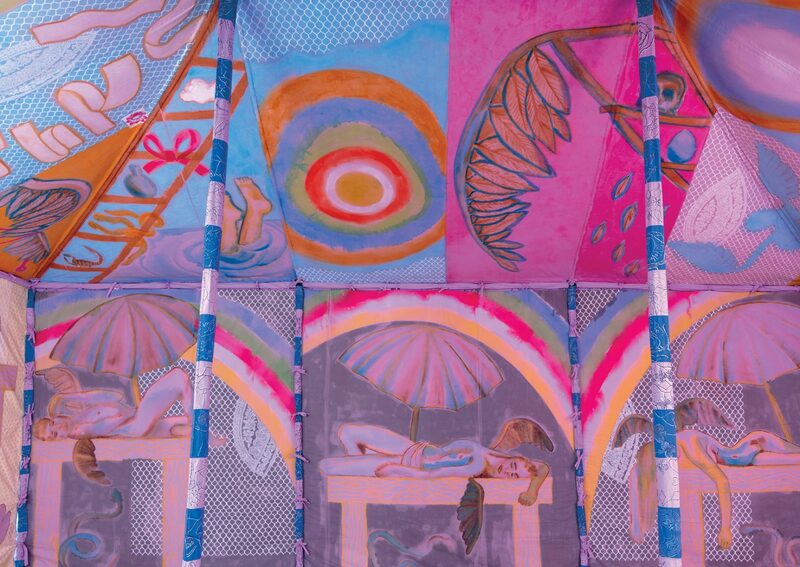 The first major exhibition in Australia of work by acclaimed Italian contemporary artist Francesco Clemente, and second in the annual Schwartz Carriageworks series of major international visual arts projects, Encampment includes six of Clemente’s celebrated large-scale tents, transforming 30,000 square feet of the precinct into an opulent tented village. Created in collaboration with a community of artists in Rajasthan, India, with exteriors that combine camouflaged fabric and golden embroidery, the tents in Encampment invite us into jewel-toned spaces populated by Byzantine angels. Presented by Carriageworks and Anna Schwartz Gallery.